In United States v. Wanland, ___ F.3d ___, 2016 U.S. App. LEXIS 13661 (9th Cir. 2016), here, the Ninth Circuit panel rejected two of the taxpayer's argument's to reverse his convictions for "tax related charges, including tax evasion." In a companion unpublished opinion, here, the panel rejected other of his arguments for reversal. I deal here with only the published precedential decision. The panel affirmed the district court in all respects in a case in which the defendant was convicted of tax related charges, including tax evasion. The panel held that neither the district court nor the jury erred in concluding that the defendant's monthly income from his law practice qualified as "salary or wages" under 26 U.S.C. § 6331(e), and therefore rejected the defendant's contention that the government could not prove concealment of property subject to a levy, as required for conviction under 26 U.S.C. § 7206(4). Rejecting the defendant's contention that the district court erred in dismissing the levy counts because they exceeded the three-year statute of limitations, the panel held that the six-year statute of limitations of 26 U.S.C. § 6531(1), covering tax offenses "involving the defrauding or attempting to defraud" the government, applies to prosecutions under § 7206(4). The panel held that the district court properly rejected the defendant's argument that res judicata precludes the government from pursuing a criminal action concerning his debts that were already discharged in bankruptcy. The panel held res judicata cannot apply because the IRS in a bankruptcy action and the United States government in a criminal action are not in privity. JAT introduction to partnership taxation. Technically, partner draws from a partnership are not income or even salaries or wages unless they are guaranteed payments. Rather, for income tax purposes, the draws are treated as advances against the partner's capital account which, if the partnership makes money is increased by partnership income allocated and taxable to the partner. So, from a tax accounting perspective, the draws are not income. But, given the relationship between draws and capital accounts, the partner's income must ultimately produce income consistent with partner draws in excess of capital contribution. Wanland's charges did not relate to the taxable income of the partnership or his allocable share but to whether an IRS levy on the partnership that required the partnership to turn over "wages and salary" covered the partnership draws. If the levy did cover the draws, then Wanland's failure to advise the partnership of the levy was an act that violated § 7206(4), here, for failure to honor a levy. The partnership made regularly payments allocated to draw, aggregating $1,8 million. Consistent with other cases, the panel affirmed the district court in adopting a practical approach indicating that the levy did cover the draws which were in every practical sense like salary or wages to be subject as such to levy. 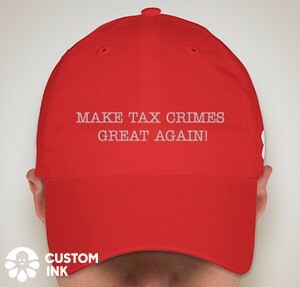 As noted above, section 7206(4) requires one to act "with intent to evade or defeat the assessment or collection of any tax imposed by this title." An individual must know of a tax liability and a levy on his property to remedy that tax liability, but still deliberately take some action to "evade or defeat" that levy. As in Workinger [United States v. Workinger, 90 F.3d 1409, 1412 (9th Cir. 1996)], that is exactly the type of "defrauding" that section 6531(1) was intended to cover. We agree with the district court that the six-year statute of limitations of section 6531(1) applies to prosecutions under section 7206(4). Wanland makes several arguments in favor of a three-year statute of limitations. First, he contends that continuing to interpret section 6531(1) broadly would allow the six-year statute of limitations exception to become more prevalent than the three-year rule. This is not persuasive in light of Workinger. As this court explained, Congress intended for the exception for offenses involving fraud to sweep broadly and "cover most acts that a person could perform in an attempt to avoid paying taxes." Workinger, 90 F.3d at 1413; see also id. (acknowledging the reality that section 6531(1) and its counterpart, section 6531(2), may be broad enough to effectively "render the 3-year period almost irrelevant" (quoting Patricia T. Morgan, Tax Procedure and Tax Fraud in a Nutshell, § 13.1.7 (1990))). We thus do not hesitate to apply the six-year statute of limitations to violations of section 7206(4), which necessarily require fraudulent conduct. Second, Wanland argues more specifically that applying section 6531(1) to section 7206(4) is inappropriate because one of the eight specifically enumerated exceptions, section 6531(5), is for a crime under another subsection of section 7206-section 7206(1). He argues that because Congress elected to extend the statute of limitations for a particular subsection of section 7206, it deliberately omitted the other subsections of section 7206. This argument is likewise untenable under Workinger. Specifically enumerated exceptions providing for a six-year statute of limitations were included so that Congress could be "sure that mere technical distinctions would not make a difference in the statute of limitations." Workinger, 90 F.3d at 1413. In other words, they reflect a rather-be-safe-than-sorry approach, and are sometimes duplicative of conduct that would also be encompassed under sections 6531(1) and (2). Id. That Congress specifically enumerated that section 7206(1) have a six-year statute of limitations says little, if anything, about the statute of limitations for section 7206(4). Finally, Wanland points out that the Internal Revenue Manual (IRM) provides that the statute of limitations for section 7206(4) is three years. IRM § 9.1.3.3.7.3.1. The IRM, however, does not bind this court. See Fargo v. Comm'r, 447 F.3d 706, 713 (9th Cir. 2006) (stating that the IRM "does not have the force of law and does not confer rights on taxpayers"); see also United States v. Mead Corp., 533 U.S. 218, 234-35 (2001) (explaining that agency manuals are "beyond the Chevron pale," and we afford them deference only to the extent that we value the "thoroughness, logic, and expertness" of the writer). For the above described reasons, we do not conclude that the IRM's recommendation is persuasive, and we hold that the six-year statute of limitations applies to violations of section 7206(4). The panel also rejected the application res judicata based on the taxpayer's claimed prior discharge of the tax liability in bankruptcy which could only have occurred if he had not committed tax evasion. The panel reasoned that the differing roles of the Government in the bankruptcy and in the criminal proceeding made res judicata inappropriate. Moreover, in footnote 4 of the opinion, the panel expresses doubt that there was even a final judgment on the merits of the discharge of tax liability because, unless litigated in a contested proceeding, the general discharge does not work a discharge of certain debts, including tax liability.